Things started to get complicated for IWC in 1985. 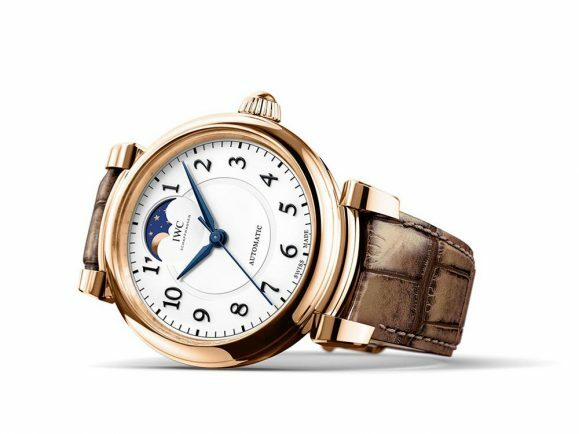 It also helped the Schaffhausen brand through the aftermath of the Quartz Crisis. We’re talking about the Da Vinci; the first chronograph to feature a perpetual calendar programmed for the next 500 years. 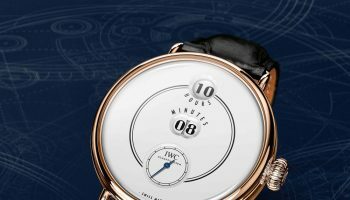 31 years later IWC presents an all new Da Vinci collection in the home town of the man behind the name and eight years after the last incarnation. “I feel relieved. 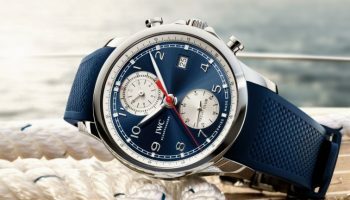 No doubt about that,” IWC’s Design Director Christian Knoop told a selected group of journalists, when the Schaffhausen based maison presented the all new Da Vinci models in scenic Firenze. 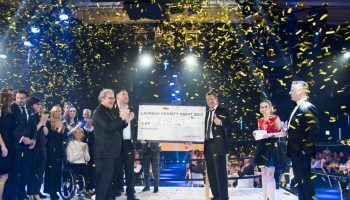 “It was the most discussed collection in my eight years with the brand,” Knoop smiles, obviously very happy with the result of what potentially could have been a weak launch. Not only because it is a tough job to reinvent a collection. Also because the market today is very different from the market eight years ago. 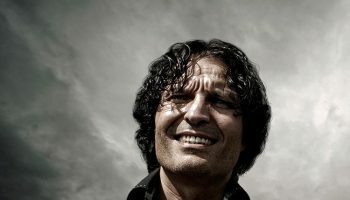 Knoop does not look like a guy who was eight years in labour. Instead he looks like a guy who is happy to show off his offspring. An offspring however that came 12 months later than expected. 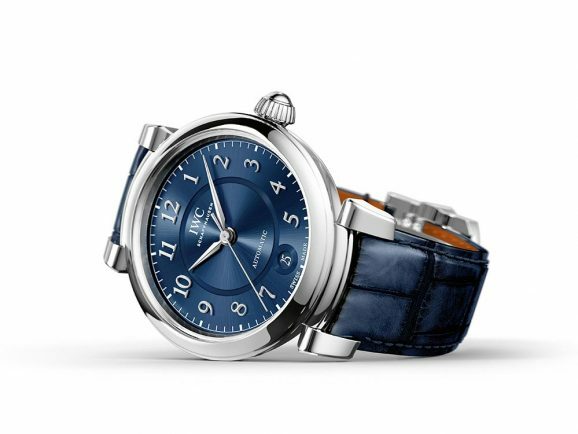 “When I heard about the Swiss franc uncapping from the euro, I told my staff to start working on the Pilot’s watches as the big 2016 launch instead of presenting the new Da Vinci”, IWC CEO Georges Kern told me, when I asked about the postponed launch. 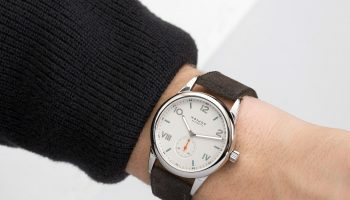 “I knew the Pilot’s watches would be a big hit and I could not afford to launch something as new-to-the-market as the new Da Vinci collection,” Kern admits. Both gentlemen however have nothing to fear. Yours truly was quite taken with the new Da Vinci. Not only because it has the round lines of the very first model from 1985. 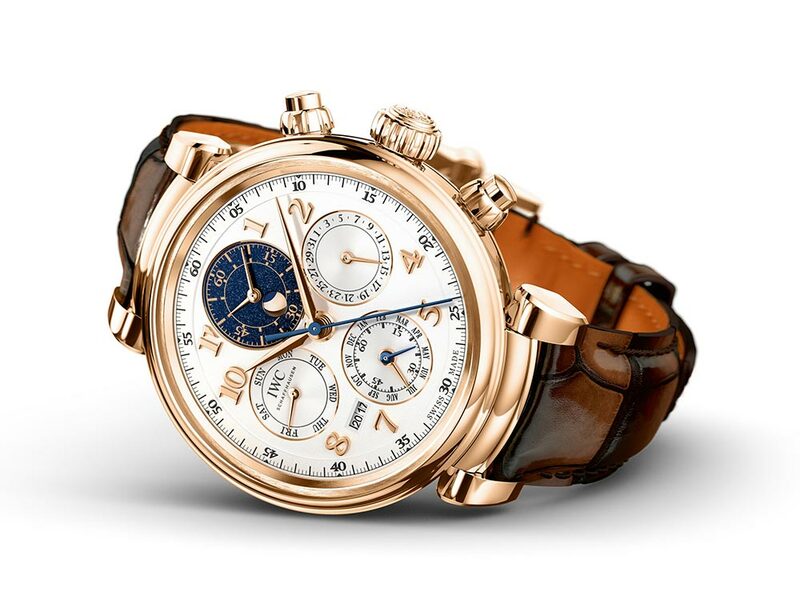 But also because the new Da Vinci line offers one especially good-looking Perpetual Calendar Chronograph model. 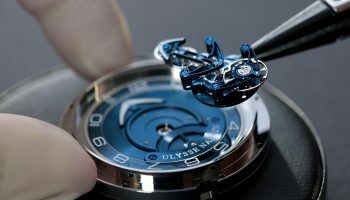 A complication made by the master watchmaker Kurt Klaus in midst of severe horological crisis. 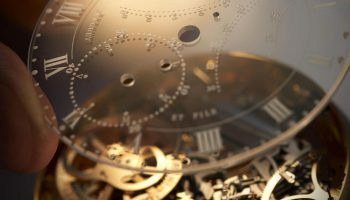 Rumour has it, that Klaus developed the perpetual calendar chronograph on his day off, as the tough times back in the 1980s forced the staff to only work four days a week. The all new Da Vinci Perpetual Calendar Chronograph however offers the latest manufactured perpetual calendar chronograph movement, calibre 89630. 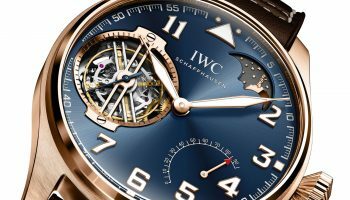 Even though the case shape is a tribute to the 1985 Da Vinci, the dial layout is quite different as the Da Vinci Perpetual Calendar Chronograph is the first model in IWC’s history to combine a chronograph with the perpetual calendar’s moon phase display in a subdial at 12 o’ clock. To achieve this, both the moon and the shadow of the earth are depicted on a single disc and rotate beneath an aperture in the lower part of the subdial. Together with the other three displays, this new function creates a harmonious unit on the dial of the 43mm watch. New features of the 2017 Da Vinci are the moving horns of the case. A great design that ensures a very good fit, no matter the size of the wrist. The all new Da Vinci Perpetual Calendar Chronograph is offered not only in red gold but also in stainless steel and fitted with a luxurious strap by the Italian leather maker Santoni. 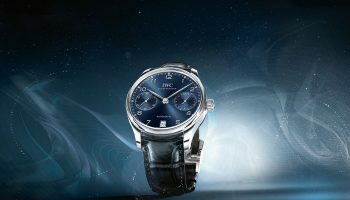 The new Da Vinci line however is not all about big complications for the gentleman (there is also a very handsome chronograph version with blue dial and an incredibly handsome Tourbillion Retrograde Date). 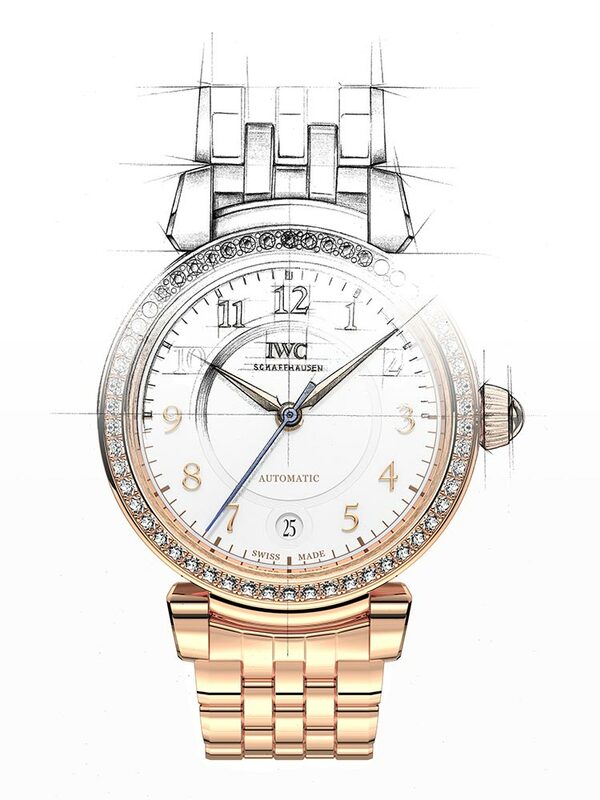 Instead the collection offers quite a selection of feminine models for the slender wrist. The whole 2017 Da Vinci collection is very attractive. But is it a little too attractive? 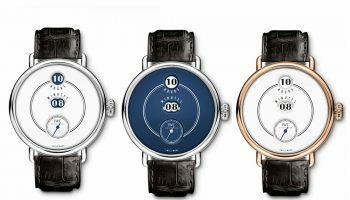 The challenge of this great new Da Vinci line could turn out to be a fierce competitor to the very successful Portugieser collection, especially when looking at the gentlemen’s novelties. That said it is only fair that the offspring turned out so great as Knoop and his design team spent no less than eight years perfecting it.